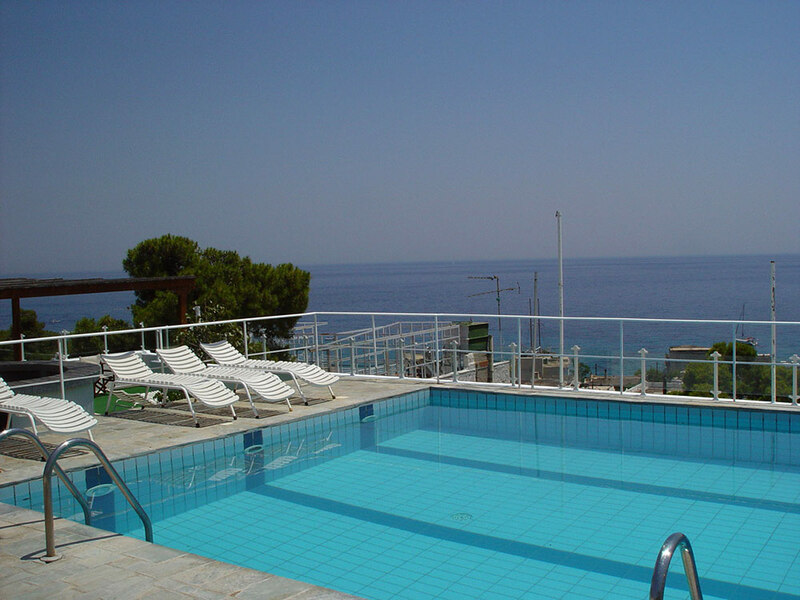 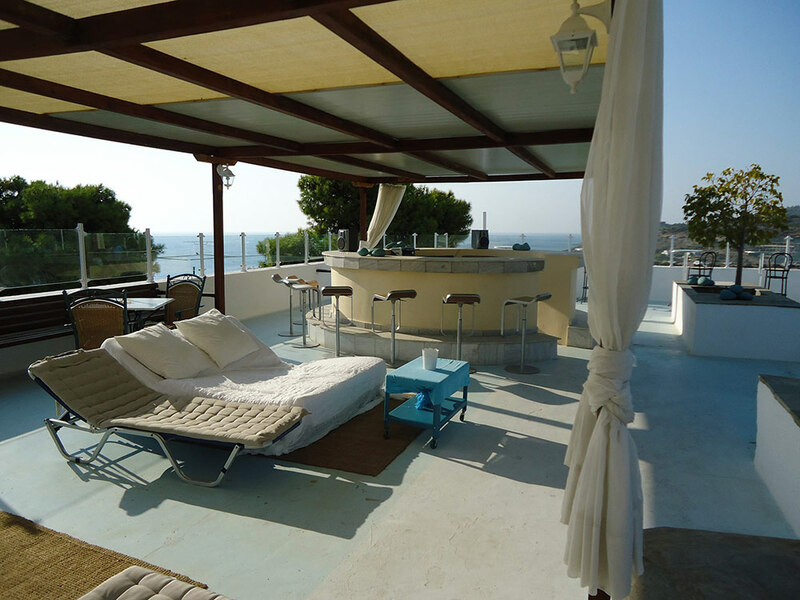 Located on the roof top of our hotel is our popular swimming pool and pool bar, that is available for our guests here at the Galini Hotel in Agia Marina. 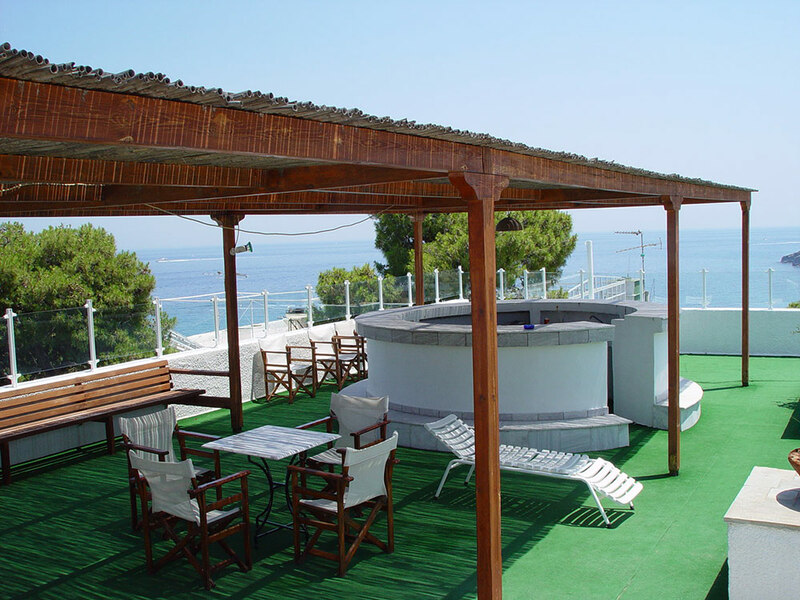 Our pool bar operates throughout the summer season, and you can come and join us on the roof for a refreshing drink, and enjoy the lovely panoramic views of the sea and Agia Marina. 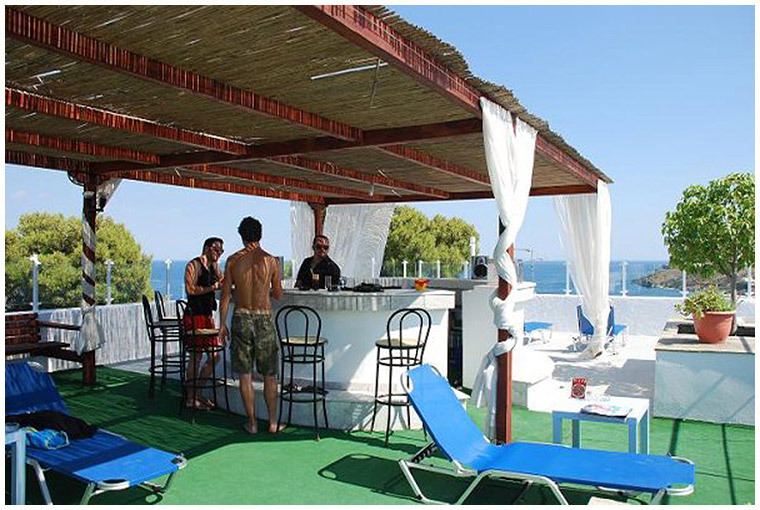 We have a wide selection of drinks and beverages available as well a soft drinks and juices for our younger guests. 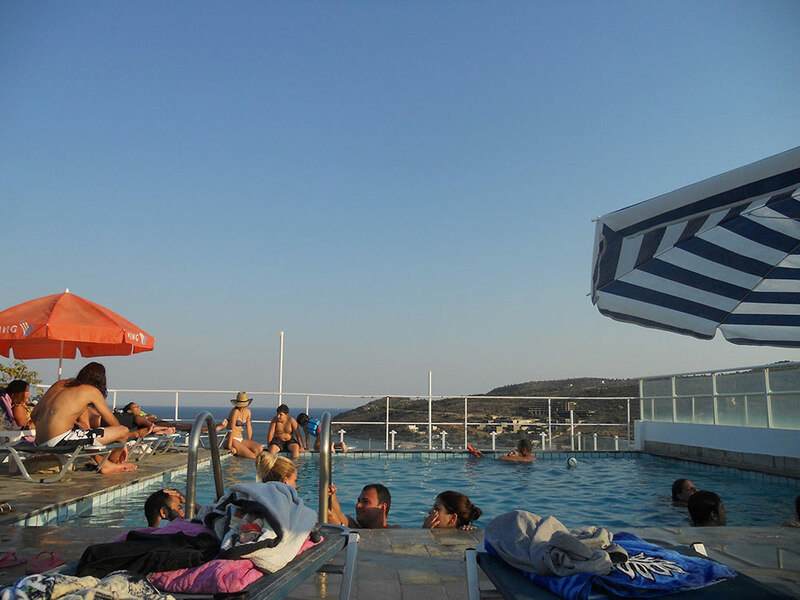 Our pool bar is the ideal place to come and relax after a day at the beach or exploring the beautiful island of Aegina. 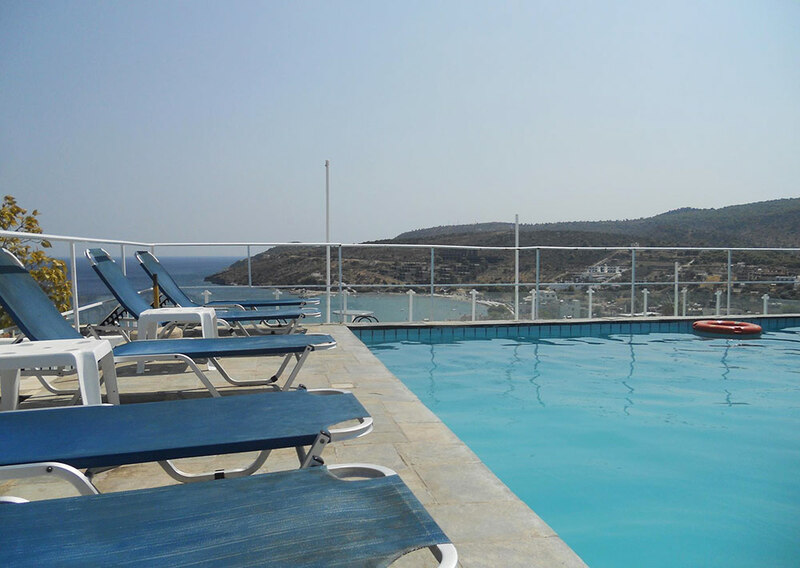 With a friendly and comfortable atmosphere, we are confident that you will enjoy your time here with us.